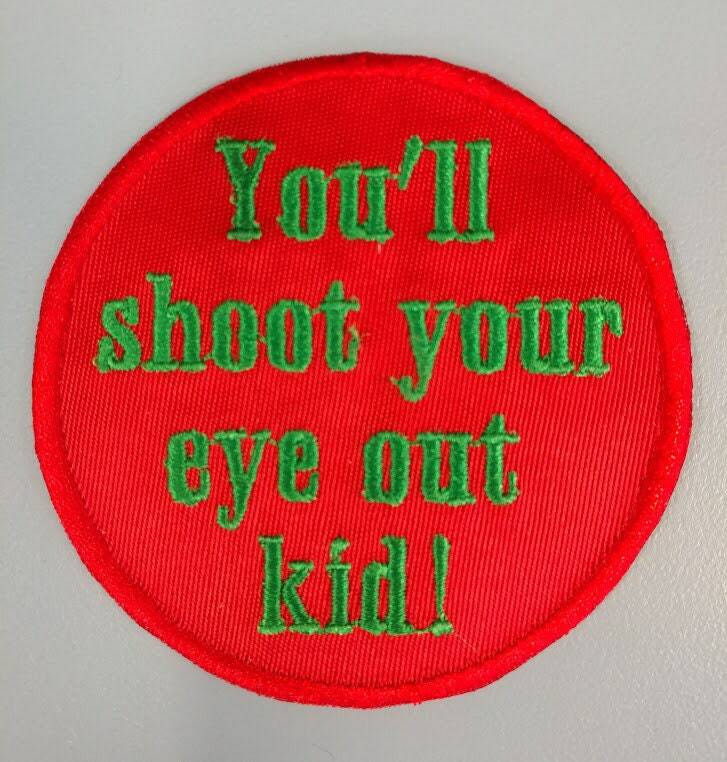 This fun embroidered patch is sewn onto a red patch background and says "You'll shoot your eye out kid." 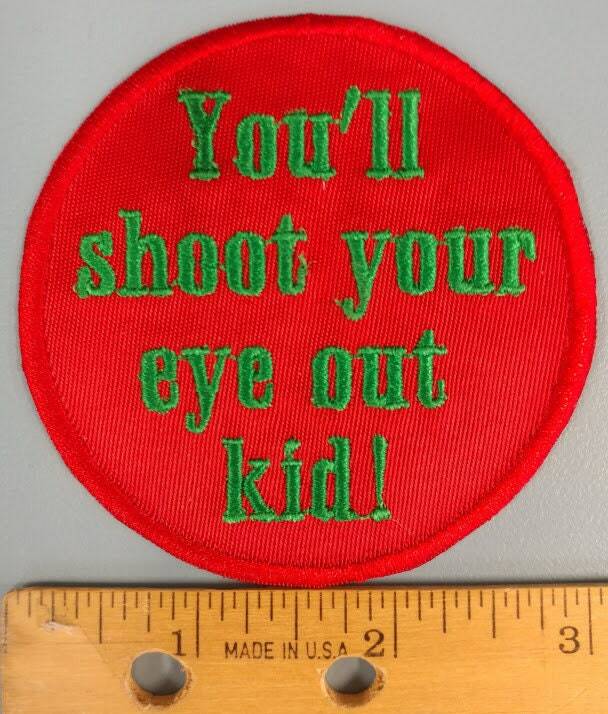 It's inspired by the cult classic movie, "A Christmas Story" It is sewn with a red outline and green text. 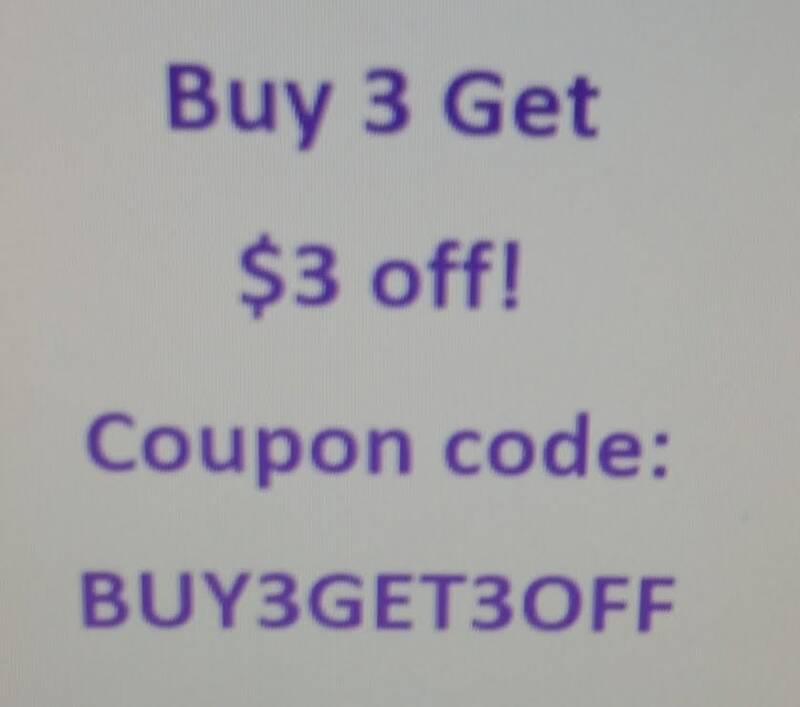 If you'd like a different color scheme, just let me know and I can make it for you. 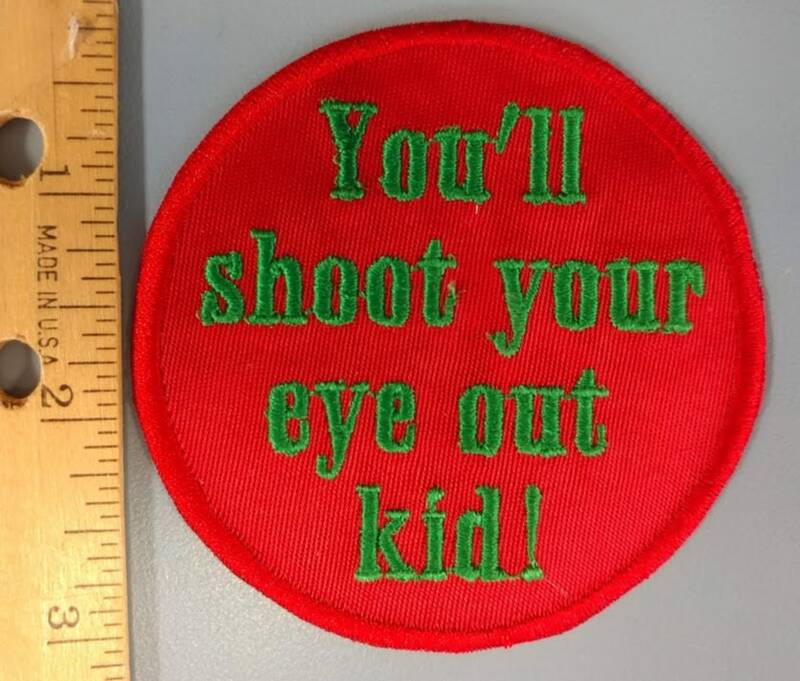 This patch measures approximately 3"in diameter and has an iron on backing to help assist with application.